USMC Veteran Sarah Rudder had her leg amputated 13 years after injuring her ankle in the Pentagon on 9/11. 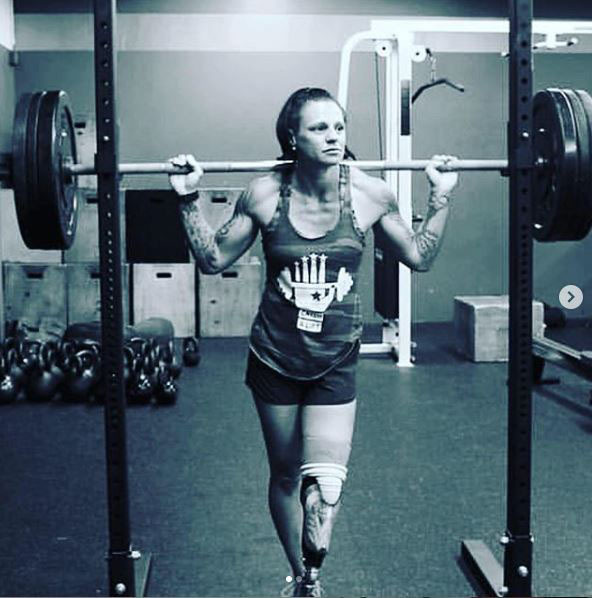 After spending the year after her amputation in a wheelchair due to a blood clot, Sarah used fitness and the support of Catch A Lift to lose more than 60 pounds and to go on to become the most decorated competitor in the 2017 Invictus Games. Sarah took home 7 medals, including 5 Gold. Sarah has earned a total of 9 Gold, 3 Silver, and 3 Bronze medals for Team USA in the 2016 and 2017 Invictus Games.